Be sure to book your hotel for the Kamloops event. On behalf of our team, we would like to thank you for choosing WestJet for your travel plans. We are happy to confirm that for the upcoming FireFit and Sport Competition,we are able to offer 10% off Econo and 15% off Plus base fares* for travel between Calgary, Alberta and anywhere WestJet flies. To take advantage of this offer, you will need the discount code listed below. If you have questions about how to complete a booking with your discount codes, please check out our frequently asked questions. FireFit Canadian Nationals and World Championships Award's Banquet Menu! FireFit Canadian Nationals and World Championships Award's Banquet Information! The Awards Banquet will be held on Sunday September 9th at the Carriage House Inn. Please book your tickets no later than September 4th. $65 per person with children's pricing available. Here is the lupdated link for FireFit Worlds! Hello All! FireFit World Finals is OPEN For REGISTRATION! If you have qualified you will have received an email stating that you have received a WildCard Spot or Bye Spot. When you login the system will show what you have earned by competing at a Regional Event. If you have not yet competed at a Regional then you will not have earned a WC or Bye spot yet and therefor will not be able to register for FireFit World Finals. For our International Competitors you will need to create a Competitor Profile in the FireFit database. In most cases your Fire Department will not be in our database yet so you will need to request a Department be added to our database. IMPORTANT This usually takes 12 to 24 hours. Once it is added you will receive an email confirmation and be able to finish your Competitor Profile. Registration for International Competitors is a 2 step process as we need you to go in and Register on the FireFit website for the International Event you competed in. There is no cost of course, it is so that we can mark you as receiving a WildCard or Bye spot from your International Event. Then once this is done FireFit will mark if you have received a WC or Bye, you will receive the email stating which and then you will be able to go in and Register for FireFit World Finals. We are excited to see you in beautiful Spruce Meadows!!! If you haven't booked your accommodations for Miramichi, NB please book soon. The last day to book is July 27th. FireFit 2018 World Championships Information! On behalf of our team, we would like to thank you for choosing WestJet for your travel plans. We are happy to confirm that for the upcoming FireFit and Sport Competition, we are able to offer 10% off Econo and 15% off Plus base fares* for travel between Calgary, Alberta and anywhere WestJet flies. To take advantage of this offer, you will need the discount code listed below. If you have questions about how to complete a booking with your discount codes, please check out our frequently asked questions. Saturday night is the kick off to Corner Brook Day! Free concert tickets for competitors and partners with fireworks at dusk on the Firefit site. X3 Rule for Competitors UNDER 5'6" in height. Competitors who are under 5’6” in height will be allowed to use a high-rise pak to stand on to do the donut-roll pull. Once at the top of the tower the competitor will remove the high-rise pak from the box at the top of the tower and place it flat (widest part facing up) on the deck of the tower next to the railing. They will then be allowed to stand on the pak and proceed with the next evolution the Donut-roll hoist. Once the Donut-roll is in the box they may continue down the stairs. The Competitor does NOT need to put the high-rise pak back in the box. This will be done by the Tower Resetter. See you on the course! Fitter, Faster, Stronger... FireFit! Hello All Mixed Relay Teams! Teams will flip a coin and the winning team will have the choice of either picking a side of the course or spinning the wheel to determine what the female members of the teams will do. Every race will require the evolution to be chosen before the Relay is run including Seeding round, Bronze and Gold Medal rounds. We hope that this new format help elevate the need to police teams and make the Mixed Relay even more fun! The Chief of the Martensville Fire Department is extending an invitation to all Competitors, their spouses and friends who will be attending the Martensville FireFit competitions, to a Steak / Chicken Fundraiser Dinner on Saturday, June 2nd. All proceeds going to Saskatchewan First Responder PTSD. Please contact Terry Dyck at terri.kurt@sasktel.net or (306)227-2673. FireFit Award's will be presented at this Event!!! We are excited to let you know that Lambton College is OPEN FOR REGISTRATION!! Coffee - Tea Station, Cinnamon crusted pork loin stuffed with a cranberry apple chutney, herb roated potatoes, chef's choice of seasonal vegetables, pasta primavera, fresh baked rolls, caesar salad, also squares and dessert. Corner Brook, NL and Miramichi, NB open for registration! Its official! The Oshawa Event is FIRM! Book early as this one always sells out! So exciting to let you know Port Moody is officially OPEN for registration. Varennes Event a No GO! We are sorry to have to report that the Varennes, QC Event is a no Go for 2018. Once again the Province of Quebec will be without a Regional Event! We would like to begin discussions on how to change this for the future. Please email firefit@firefit.com with your ideas. Check out the information posted for Martensville. Host hotel information etc. GOOD NEWS COMPETITORS! Air North has extended their sale for another 24 hours. Don't delay call now to book your flight to Whitehorse by 11:59PM PT February 2, 2018 to receive 40% off. Call: 1.800.661.0407 See you one the course. Air North 41% off ALL flights! If you are planning to attend the Whitehorse Event you won't want to miss the rates that Air North is offering today and TODAY ONLY! Air North is offering a 41% discount on all flights from Feb. 15th to Aug.15th Call 1.800.661.0407 CALL NOW as this is a one day sale and it is starting right NOW! Dates of Whitehorse FireFit Event are May 19th and 20th! BOOK NOW!!!!! Must see places throughout BC and Alberta! If you are planning a trip to the FireFit Regional or National & World Championships at Spruce Meadows in 2018 here is a list of places you will want to check out! We now have Four 2018 Events Open For Registration !! Whitehorse, YT and Winnipeg, MN are now OPEN for Registration! Here are the dates that the 2017 FireFit Championship Finals from Ottawa will air on TSN. 3 seperate shows with multiple dates! Two 2018 Events Open For Registration! Make those New Years Resolutions STICK and register early for the Martensville, SK Event and the Spruce Meadows, AB Regional Event! Both these Events are OPEN for Registration! Looking for information regarding the FireFit World Championships being held at Spruce Meadows in 2018. The Tentative 2018 Schedule is getting LESS Tentative! This a a tentative schedule and as such is subject to change. The last 2017 Regional FireFit Event is complete! Registration CLOSES Monday, September 4th at MIDNIGHT so please get registered! See you on the course! NEED TO KNOW INFORMATION – Please respond to below items if you are coming! ALL RELAY’S SEEDING ROUND AND 1ST KNOCKOUT ROUND FOR ALL RELAY CATEGORIES EXCEPT FOR MIXED. Saturday - Final Day #1 – Individuals (Teams) - 11 am to 4 pm approx. X3 & Relay Knockout – 1pm to 5 pm approx. Saturday, September 9th - #OttawaRedBlacks will be playing the Hamilton Tiger Cats! We have secured 200 tickets at a promo price. Tickets are located all together in section BB exclusively for FIREFIT Competitors, family and friends! Tickets need to be booked online BEFORE August 26th and use the FIREFIT PROMO CODE. The promo code will no longer work after August 26th. Tickets together in section BB exclusively for FIREFIT until August 26th. If you will be attending the Memorial we need to know! Please post on the FireFit Facebook Page. Ottawa is looking at scheduling a bus to get Competitors back and forth to the Memorial from the Event site. This way you will be able to leave your gear bags on site and attend the Memorial. CFFF Parade Muster - Sunday, September 10th. Inspired by the Boston Freedom Trail, this 3km red line will lead you to sights and attractions in Gatineau. The trail includes main attractions like Mosaicanada and the Canadian History Museum, public art, graffiti, exhibitions and shows like Cirque du Soleil Volta (until August 27th), guided and self-guided tours, and restaurants. Access the culture trail map here. Spend the afternoon exploring and then stop at one of the restaurants for a bite. As someone who is afraid of heights I expected to be scared on a hot air balloon ride but it was the exact opposite, I found it to be a very calming experience! Go up in one and take in the view down below. Or you can also take in the view of hot air balloons in the sky from the comfort of solid ground. The Gatineau Hot Air Balloon Festival has plenty of other activities like an amusement park, 1001 hidden treasures, meet the pilot, buskers, concerts and more! Join in on the fun August 31st to September 4th at La Baie Park in Gatineau. If you want to feel completely relaxed and rejuvenated then head to Nordik Spa! Enjoy thermotherapy in world class facilities at North America’s largest spa. They also have a salt water floating pool, that is the second of its kind in the world, the other being in Switzerland! Treat yourself to the outdoor baths, sauna, relaxation areas, massages and more! Add to the experience and enjoy a glass of wine as you lounge in the pools. Regional ONE DAY in OTTAWA Confirmed! We have confirmed that we will do a ONE Day Regional Event in Ottawa on Saturday, September 2nd, 2017. The Event is open to Individuals, Teams, X3's and Relay's who wish to qualify for Nationals being held September 6th to 10th, 2017 in Ottawa. Please note due to this being a one day event we are limiting the number of spaces available. Relay's will only be one run rather than the usual 'Knockout Format'. Fredericton Host Hotel - FireFit Booking Rates available till July 20th! Don't miss out! Amenities Include: Downtown location, parking included, wifi, pool and multiple restaurants. 600 meters to course! Come and celebrate Canada's 150th in Quinte West! Lots of Family Entertainment and activities going on all weekend in Centennial Park along side the FireFit Event! Beautiful location right on the water. See you on the course! Be sure to attend the awards and social banquet. Open to all competitors and family. A fun evening of awards, music and food. Absolutely no charge and lots of munchies for all. Get to know your fellow competitors and the volunteers who made the event happen. We look forward to seeing everyone out on Saturday evening. Banquet to be held in the Inch Arran Arena, on site. Cash Bar put on by the Dalhousie Recreaplex. Quinte West Event Room Block Extended! The Comfort Inn has extended the cut off date for the Firefit block of rooms until this Friday, June 9, 2017. Edson, AB Event - Free Steak Dinner... but ya gotta let us know your coming! Hotel information and event schedule posted!! Check it out!! Hotel Information and schedule are posted! Check it out! NATIONALS HOST HOTEL - BOOK EARLY!!! Very Important to book your Hotel EARLY for Nationals in Ottawa! Southern Atlantic Regional Hotel in Fredericton Confirmed! Unfotunately this year we will not be attending the Honda Toronto Indy this year. Hoping to be able to add it to the 2018 Season! However we have had a request from Chalk River, Ontario. Date to be determined so stay tuned! Fredericton, NB Event page up! The Southern Atlantic FireFit Regional to be held in Fredericton, NB will take place August 12th & 13th, 2017! You will not want to miss all the activities in the Capital Region! Check out the Event page on the 2017 Schedule! More info to follow! See you on the course! Fitter, Faster, Stronger...FireFit! Calgary FireFit Team climb the BOW! First EVER Manitoba Event hosted by Winnipeg FD & Red River Ex! We are excited to hold our FIRST EVER Manitoba Event this summer in Winnipeg at the Red River Exhibition, June 17th & 18th! Don't miss this weekend, as there are so many things to see and do at the EX! Music, Midway, Show Jumping, 4H, Dog Shows, Touch the Farm, Antique Tractors, Shoppers Market and much much more! Click here for a map of the grounds! But wait there is MORE! Check out the Event Page by clicking here! Make sure you book your accommodations EARLY as Winnipeg is the place to be this weekend!!!! Conception Bay South, Newfoundland & Labrador Event! Ready for YOU! 2017 Newfoundland & Labrador Regional in Conception Bay South! There is nothing better than a visit to the ROCK! Come and enjoy some down home hospitality that only the Newfies can provide! The George Street Festival takes place July 27th to Aug. 2nd so gives you enough time to recover and compete in Conception Bay South on the 5th & 6th of August! Come enjoy the rugged beauty of Canada's 10th Province! Carleton-Sur-Mer, QC Event Information Posted! Carleton-Sur-Mer is truly one of the most beautiful spots in Canada! Located less than an hour from Cambelton, New Brunswick on the southern Gaspé coast on the Baie-des Chaleurs. Carleton-Sur-Mer is celebrating their 250th Anniversary this year! This beautiful seaside community is looking forward to Hosting the Eastern Quebec Regional! All Departments from across the country are welcome to compete! If you are planning a trip to the Maritimes be sure to check out the Carleton-Sur-Mer Event, August 19th to 20th! Fort McMurray Ready to Host in 2017! We are thrilled to be able to return to Fort McMurray this season! The Fort McMurray Fire Department will host a FireFit Event on June 3rd & 4th. Mark the date and come and support Fort Mac! Excited to announce Dalhousie Event FIRM for 2017! July 22nd and 23rd! Wasaga Beach will again be hosting a FireFit event in 2017! July 8th & 9th will see the 3rd Annual FireFit Championships Event take place in Wasaga! See you on the BEACH! 2016 TSN Air Dates of the Canadian National Championships from Spruce Meadows! 2016 FireFit National Championships from Spruce Meadows on TSN! Calgary Firefighers Local 255 Meet and Greet! Tickets $10 each kid friendly! Under 12 years old eat free! Beer on a bun, potato/coleslaw salads, baked beans & desert! Purchase tickets at the Volunteer tent onsite! 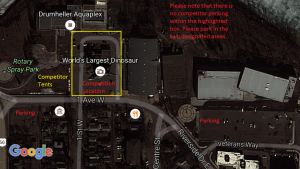 For those heading out to the Drumheller event this weekend, here is where parking for the event will be located as well as where the event will be held. Nationals is now OPEN for Registration! Please let us know if you have any Registration Problems as we have been doing some software upgrades! Call the office 604.626.0918 or email admin@firefit.com if you come across any problems! For anyone looking for accommodations in Napanee August 19 - 21, the Hampton Inn has 25 rooms on hold for the Friday night only. Mention the FireFit event for any hotel booking as special rates will apply. All Hotels are within 5 minutes of course site. Many campgrounds within 20 Minutes of the course site. Some overnight Camping available on site (weather permitting), at the Wal-mart or the Flying J. All Hotels are within 5 minutes of course site. Many campgrounds within 20 Minutes of the course site. Some overnight Camping available on site (weather permitting), at the Wal-mart or the flying J. City of Kingston has two hotels just off the 401 within 20 minutes of the course site as well. Loyalist Lakeview Resort - (902) 436-3333. Causeway Bay Hotel (902) 436-2157. 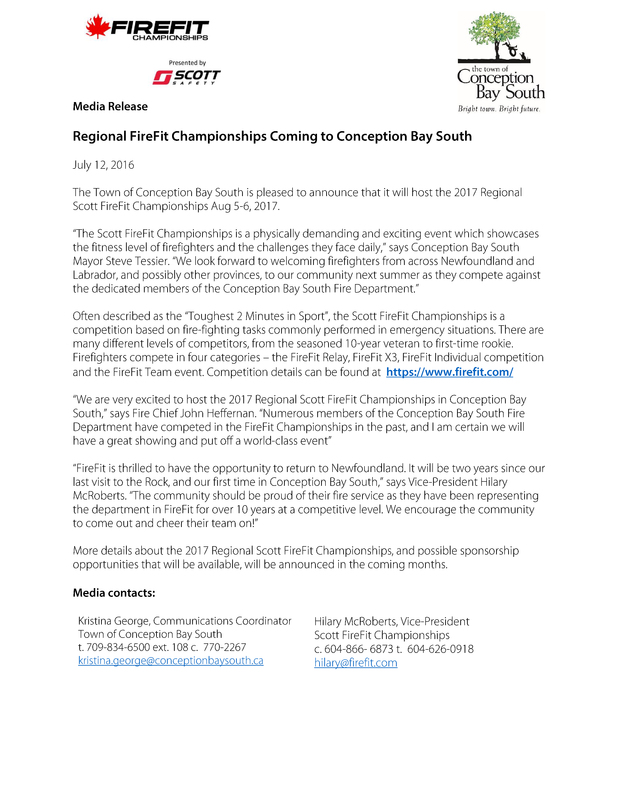 Media Release: Regional FireFit Championships coming to Conception Bay South, August 2017! For anyone looking to volunteer at the Oshawa FireFit Event, you can get in contact with event staff by either messaging them through the facebook event site or by emailing them at oshawafirefit@gmail.com subject line Firefit Volunteer. Competitor parking will be in Lot 8. Head South from 22X on Tournament lane and follow the signage, you will find the lot. Let the attendant know you are their for FireFit. The course is a short walk away.Family members not travelling with competitors will be asked to park in Parking Lot 2. Follow the instructions outlined in this pdf: !2016 1st Responders Spruce Meadows E-Ticket Letter The awards dinner will be at Ranchman's on Saturday June 11, 2016 from 6-9pm. .) It will be $12.95 + tax for a buffet style dinner. Please RSVP, including numbers, by Wednesday, June 8, 2016 to CalgaryFireFit@gmail.com. Rules for the competitions will be posted here. Make sure you are familiar with them. Vernon - Saturday Night Fire Fighters Pub Night! Vernon - Saturday Night Fire Fighters Pub Night! Bourbonstreet Bar & Grill at Prestige Hotel Kid Friendly! For $14.95 your choice of Louisiana Chicken Burger Bourbon Street Beef Burger Burgers come with a choice of fries or salad Artisan Caesar Salad Wings Choice of one sauce - Louisiana Hot Sauce, Herb & Lime, BBQ or Lemon Pepper All of above served with sleeve of Okanagan Springs Pale Ale or 1516! Jugs of Okanagan Springs $14.95 Doors open at 6pm FireFit Awards at 7pm Please leave a comment on our Facebook page under this post with how many will be attending so that we can ensure the hotel has enough staff to handle us! All Events Open for Registration! All 2016 Events are now OPEN for Registration! Register early to take advantage of the 'Early Bird' pricing! Vernon Hotel Info BOOK NOW WHILE ROOMS STILL AVAILABLE! Additional Air Dates for FireFit Championships on TSN! Here are the air dates that have been scheduled so far for the 2015 FireFit National Championships from Kitchener, Ontario! Premier Air Date on TSN! Have managed to extend the cut-off date at the Host Hotel, The Crowne Plaza in Kitchener, to September 7, 2015! PLEASE NOTE, there is a massive conference in town! Hotels are very difficult to get, so if you have not yet booked and plan on attending we recommend you book right away! Wasaga Beach SATURDAY Individual Day FULL! WASAGA BEACH INDIVIDUAL Registration FULL! Still space for Relay and X3. Call the office if you want to put your name on the wait list! 604.626.0918. Due to the cancellation of the Beauharnois, QC Event the Wasaga Beach Event will be the qualifier for Quebec Teams. Our good friend and FireFit competitor Jeanie Allen. Anyone who ever met Jeanie remembers her contagious smile and can do spirit. Through her friendships and battle with cancer she has inspired hundreds of people to live every day to the fullest and never give up. She will be truly missed but how proud she is that her spirit lives on in each of us. Like she always said "Carpe Diem". 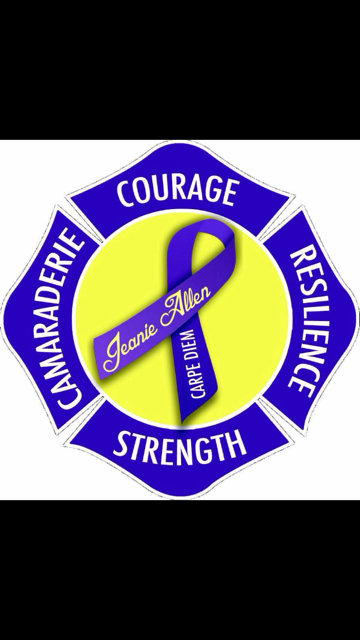 In honour of Jeanie, her ‘Army’ has designed a sticker which we will offer for sale for $5.00. They will be available at FireFit Events beginning in Point Edward, Ontario. All funds generated from the stickers will be put into a Scholarship Trust Fund for her two children Skye and Jess. Jeanie you touched so many around the world. We honour the fight that you fought and will miss you dearly but know that you are now no longer in pain. God bless and keep you. FIREFIT part of CFL Game tonight! RDS Broadcast of 2014 Canadian Nationals From Longueuil! RDS will be airing the 2014 Canadian National Championships show from Longueuil, Quebec on the following dates! 1. 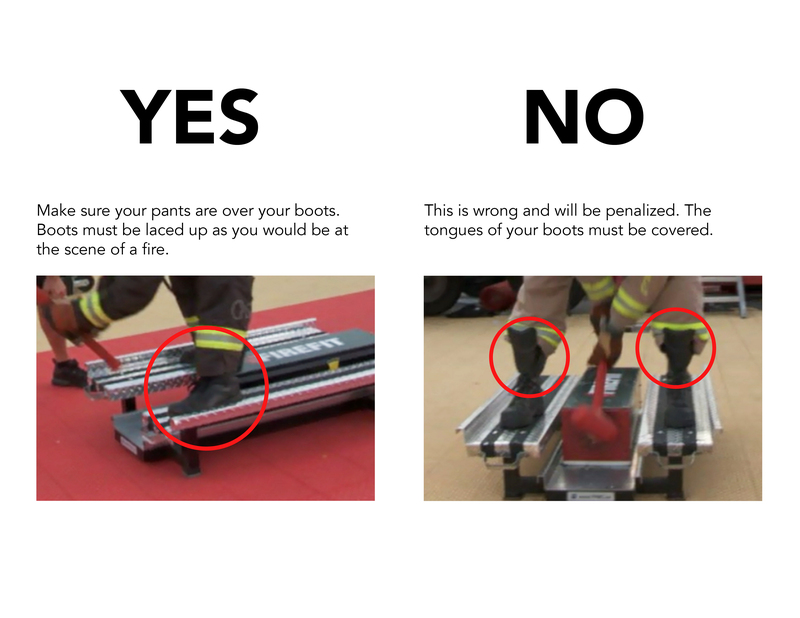 Competitors who are 5’6” or under are permitted to stand on the hi-rise pack during the hose hoist. Once hoist is complete they must deposit the hi-rise pack into the box or take a 2 second penalty. 2. X-3 Competitors are allowed to compete in more than one X-3 Category but not multiple times within one category. i.e. may compete once in Over 40, once in Mixed per competition. For Nationals you will be required to pick one category. 3. MIXED RELAY – Replacing the FUN RELAY - A new Mixed Relay Category will be added this year. This will allow for Competitors who are not on a Relay Team to participate in the Relay Day. Every team MUST have a female. Individuals who wish to participate will have their names randomly drawn to create teams. Individual Competitors who wish to participate in the Relay will need to confirm their participation no later than 2pm on Saturday so that teams can be entered and start list created. Teams can enter this category with or without a female team member. Teams without a female will be assigned a female competitor. Individual females can register to be put on a mixed team that needs a female. Individual men can register to be put on a mixed team. All men who register will be randomly drawn and placed on a team. Competitors will change positions in each elimination round, so strategy comes into play. For semi -final (Bronze Round) and final (Gold Round), team members may be in any position. A competitor cannot JUST run the cones, they must either do the force machine and the cones or the cones and the hose drag. All other Relay Rules apply to the Mixed Relay. Cost is $20 /per person (plus applicable taxes) for those who have already registered for an Event. If you have not registered as an Individual or X-3 then cost is $50/person (plus applicable taxes). VOLUNTEERS NEEDED for Chilliwack & VANCOUVER EVENTS! Looking for Volunteers for the 2 FireFit Events in BC! Chilliwack May 16th & 17th and Vancouver May 23rd & 24th! Contact firefit@firefit.com for the Vancouver Event! Free Steak Dinner at Edson Event! Competitors attending the Edson, AB Event, May 30th & May 31st will be treated to a free Steak Dinner on Saturday night! Please register early so that they can order the STEAKS!!! Time to make a difference! YOU CAN HELP! In Memory of Kevin Hegarty - Time to do something! I am sure I am not the only one… but, It has taken me a number of weeks to comprehend the loss of Surrey Fire Fighter, Kevin Hegarty. I have had moments of overwhelming grief when all of a sudden Kevin comes to mind and I am overcome knowing that he was in such turmoil and didn’t get the help he needed. 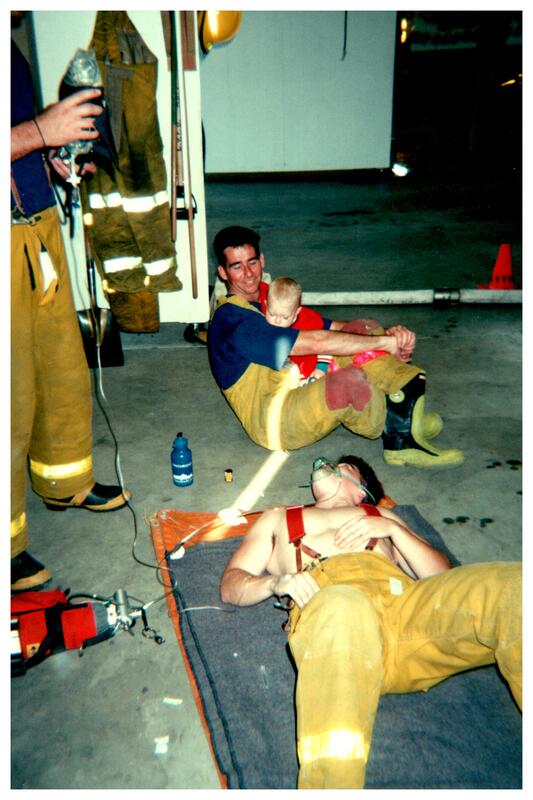 There is one memory of Kevin that continues to come back to me… It was our first FireFit Event in 1995. The Place, Lantzville, the first FireFit BC Regional. Kevin and his team of Richie Pasqua, Mike McNamara and Andrew Piggott were young Volunteer FireFighters with the City of Surrey and eager to compete. The picture that keeps coming back to me is Kevin holding my 1 year old son Connor, as he watched over his team mate Andrew who was recovering in the Medical Area after a rough race. Kevin stayed with Drew, making sure he was ok and giving him some light hearted ribbing as my son Connor fell asleep in Kevin’s arms. It was such a sweet moment and Kevin was true to form, taking care of those that needed help, including my little son who needed a cuddle and arms to fall asleep in. When I heard of Kevin’s passing and its circumstances all I could think about was that picture. I searched for it high and low as I knew it was somewhere in my house! I have been haunted by the thought of this photo and not being able to find it… and today I found it! Actually I found 3 moments captured in time. 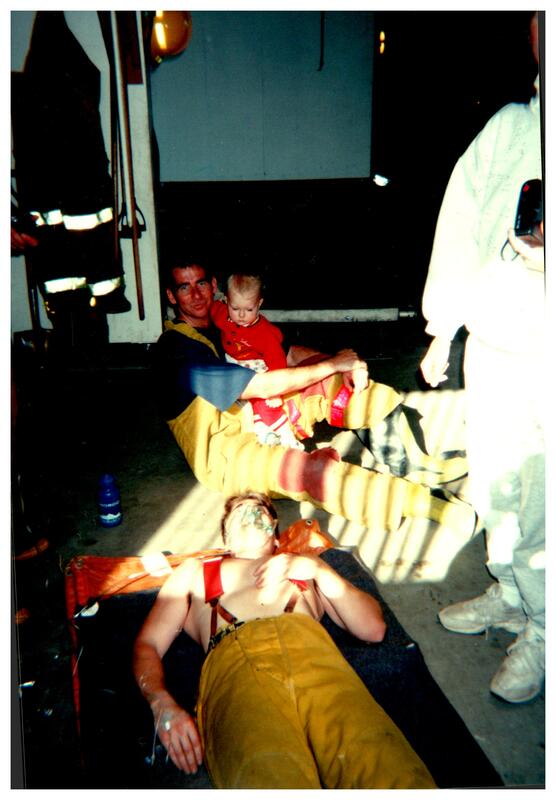 We met Kevin in 1994, when he was a Volunteer Fire Fighter with the City of Surrey. A young, exuberant, full of piss and vinegar young man who just wanted to be a firefighter… fight fires and save lives! Kevin was part of a Team that lead the way for, at the time 12 Surrey Volunteer FireFit Teams , or what was known back then as Combat Teams. His team was fit, fast, young and hardworking. They were ready to participate and be part of the firefighting community and all hoped to become full time firefighters. 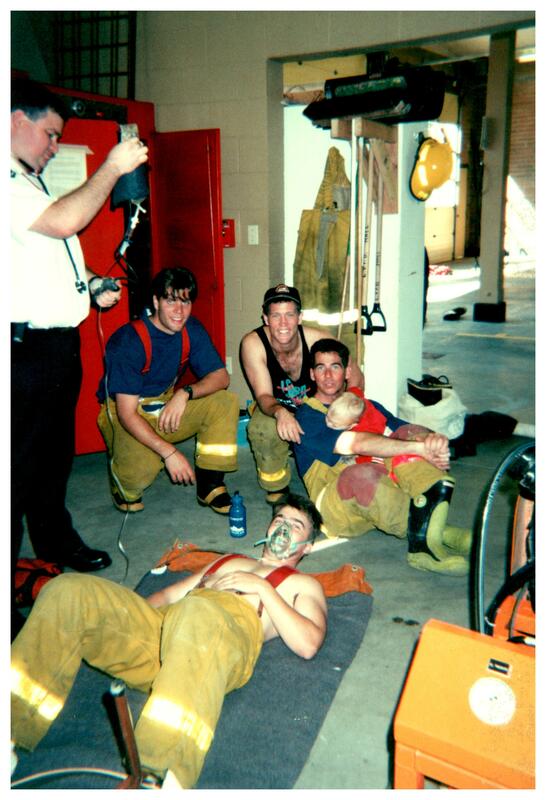 This dream came true for Kevin and his team in 1995 when they were picked to take part in Class 2 of the Justice Institutes Fire Service Training Program. Kevin, Mike & Richie all entered the program together and all became Surrey Fire Fighters. For nearly 20 years Kevin served the City of Surrey and its residents. Kevin became an Acting Captain but also assisting with the Surrey Fire Fighters Charitable Society, BC Burn Fund and advocating for mental health after experiencing his own struggles with PTSD. Unfortunately Kevin lost his battle with PTSD and this is what brought many of us together on March 30th at his memorial. It was the sight of so many of our past and present FireFit Competitors and the knowledge of Kevin’s struggle that made me realize how vulnerable even the strongest and fittest can be. I feel the need to do something to protect these men and women who every day put their lives on the line for their communities. As chance may have it, we have been given an opportunity to do just that, to avenge the loss of Kevin. On May 23rd & 24th the Vancouver Firefighters’ Charitable Society (VFCS) will host a FireFit Event in downtown Vancouver, they have put together a charity event that will raise funds for the creation of a pioneering First Responder PTSD Program at VGH Hospital. Here is the chance we need to do something to support our First Responders who come to us in our times of need. Now we can help them and their families so that they don’t have to suffer silently or on their own and hopefully we can prevent what happened to Kevin. Please spread the word about this Event. For more information check out FireFit for PTSD Challenge. BC Events Open For Registration! Both BC Events are now OPEN for Registration. We plan to open all Events by 17th of May. Stay tuned! Turnouts – Must be labelled for Structural Firefighting NFPA standard. Will be visually inspected and approved for use prior to race. All gear must be in good condition with no holes, rips, missing liners, no frayed hems etc. Competitors must be dressed as at the scene of a fire. PPE/Ancillary items - Visual inspection in good condition no holes in gloves, or boots. Helmets – Must be complete except for visors and ear protection. Labels and inner thermal liner must be present. Custom painting is allowed. No added adornments. Gloves – Must be complete with liners and NFPA labels (labels must be in gloves) no holes or tears. Boots - All boots must be labeled NFPA 1971 structural fire fighting boots. Resoled boots must be done so with approved NFPA 1971 vibram soles. The soles that meet this standard are: Montagna and Olympia. Any other sole is not allowed. Face Pieces – Competitors may use their own face pieces but they must comply with NFPA and may not be altered. i.e. no removal of nose cone, vents or tinting. All equipment must be worn as at the scene of a fire. Pants over boots, zippers up, no sunglasses. Syncrude a 2 Day Event! The traditional Syncrude Event is not only open to ALL Departments but will also be a 2 day event! Stay tuned for more details! Syncrude opens up their In-House Event to All Departments! It is official! The Syncrude Event will now be open to ALL Departments to compete! In the past this Event has been an In-House competition with Mutual Aid Departments being invited to participate. The 2015 Event will see this long running event become a Regional for all to participate in and Syncrude is excited to be able to invite you all! See you on the course! Merry Christmas to our FireFit Family! Wishing all of our FireFit Family a very Merry Christmas and a Happy & Healthy New Year! Stay safe and see you in 2015!! Blessings to all from Dale, Hilary, Connor & Cassie! Here are the Airing Dates for the 2014 Scott FireFit National Championships! Delta Expresses Interest in Hosting 2015 Regional Event! Working with the Delta FD's, Westshore Terminal Team to see if we can't have the BC Regional Event held in Delta in May of 2015! Stay tuned! Mark your calendar! Ingersoll, Ontario Event firms for the July 4th & 5th weekend in 2015! The Tentative 2015 Schedule is posted! Check it out on the Schedule Page. As Events firm they will become BOLD. Domonic Cote you are on Final Day! Domonic Cote!! You are moved on to Saturday Final! Domonic Cote, Corey Detchkoff, Dan Chalk, & Troy Grant. If any Individuals drop out then the above on the verge individuals will be moved on one by one. Anyone who is currently on the Who's Coming Page and will NOT be running tomorrow needs to email firefit@firefit.com right away so that we can move other Competitors on. Those moving on to Saturday Final! Here is the link to the Who's Coming Page for Saturday! You can keep checking this link. As we update names will appear! Once final updates are finished we will let you know! Registration for Nationals Closes MONDAY September 8th! Please get registered ASAP! And don't forget to order your banquet tickets! See the link any one of the 4 Information pages on the FireFit website! If you are having problems registering PLEASE let us know. firefit@firefit.com See you on the course! Host Hotel for Nationals FULL! Here are some other options: Comfort Inn South Shore 96 boul. de Mortagne, Boucherville, QC CA, J4B 5M7 $117.89 for 1 queen $123.29 for 2 doubles Includes parking and a hot breakfast. To book please click the below link. http://www.hotels.tv/booking_areas/Scott_Firefit_Canadian_National_Championship_Longueuil/ OTHER HOTELS - http://www.hotelsdauphin.ca/longueuil/en/ - http://www.holidayinnlongueuil.com/index.php Camping Alouette - 3449 Chemin de l'industrie, Saint-Mathieu-de-Beloeil Ph: 450.464.1661 20 minutes from Course. Looking for a Hotel for the Montreal Event this weekend? Just a reminder that when registering for an event you need to ADD TO CART and then CHECKOUT. Your Registration is not complete until you CHECKOUT. See you on the course! AFTER September 1st - $45.00 per person! Got to bottom of page and order.! Laissez-passer et journées additionnelles de qualifications! Nous enverrons sous peu un courriel aux équipes et compétiteurs qui se sont qualifiés pour le championnat à Longueuil en septembre. Les résultats sur le site de FireFit seront mis à jour de façon à indiquer qui mérite un laissez-passer pour la finale et ceux qui ont droit aux journées additionnelles de qualifications. Les laissez-passer sont indiqués en ROUGE et signifient que vous avez déjà mérité votre place à la grande finale du samedi. Vous pouvez quand même vous inscrire aux journées additionnelles de qualifications si vous le souhaitez. Ces dernières sont indiquées en BLEU et signifient que vous pouvez vous inscrire à deux journées additionnelles de qualifications sur trois (mercredi, jeudi, vendredi). ÉQUIPES DE RELAIS – NOUVEAU CETTE ANNÉE! La ronde de qualifications aura lieu vendredi le 12 septembre! TOUTES les équipes participant au relais doivent être présentes le vendredi pour cette ronde. Ainsi, nous pourrons passer directement aux rondes d’éliminations dimanche le 14 septembre. On se retrouve sur le parcours! FIREFIT FINALS in Longueuil, Quebec 2014 what you need to know! BYE's and WildCard Day Qualifiers! We will be sending out an email to all those Teams and Individuals who have qualified for Finals in Longueuil in September over the next couple of days. The Results on the FireFit webpage will also be updated showing who has earned a BYE onto final day and who has earned a WildCard spot. BYE's are marked in RED and mean you have already earned a spot on Final Day (Saturday). You can still register to run WildCard days as well if you wish. WildCards (WC) are marked in blue and mean you can run on WildCard Day's. This year we have 3 WildCard days (Wednesday, Thursday & Friday) You are able to register to run an Individual on 2 of the 3 WildCard Days if you wish. Check out the Gaspe Results as these show what Results will look like when BYE's and WC are marked. RELAY TEAMS - NEW THIS YEAR! Veuillez prendre note que le NOUVEAU logiciel d'inscription de Firefit est maintenant fonctionnel et que pour vous inscrire à un évènement vous DEVEZ mettre à jour votre profil de compétiteur. Certains ont eu quelques problèmes pour s'inscrire car ils avaient un compte plus vieux ou même plusieurs comptes à l'intérieur même du système. Si vous rencontrez des pépins S'IL VOUS PLAÎT écrivez à admin@firefit.com ou appelez au 604-626-0918. S'IL VOUS PLAÎT n'attendez pas à la dernière minute car le PORTAIL D’INSCRIPTION FERME LE MERCREDI PRÉCÉDANT L'ÉVÈNEMENT. Un grand merci de la part de l'équipe Firefit! Menu: 1/2 BBQ Chicken with salads and dessert. Special menu for kids 12 and under. La compétition sera à la Halte Routière ,Blvd York Est l’autre côté du pont. Dimanche soir : nous aurons notre souper et des prix à la Légion Canadienne. Menu : ­­­½ Poulet BBQ avec salades et des desserts, menu spécial pour les enfants. Doit réserver pour le souper. Honda Indy Info for Competitors! Please ensure that you read ALL of this email as it contains information you will require to ensure access onto the Honda Indy Toronto Festival Site! Otherwise it is imperative that you come and pick-up your passes, so that you will have access to site for Saturday and Sunday. Festival site opens at 7:30 am. You will need to arrive early to ensure parking! On-site parking is only available with an event-issued parking pass. You can purchase guaranteed parking passes via the Honda Indy Toronto website. All other parking is first come first serve. GATE 3 is the closest gate to the FireFit Course and accessed by Ontario Place parking. This lot is only accessible via Lakeshore going WEST! Take Bathhurst St. follow to Lakeshore take a right onto Lakeshore and then left onto Remembrance Dr. and into parking lot. Additional parking may be available at Ontario Place, private lots, and on-street parking, but are not guaranteed, as spaces are limited. Please observe all posted parking regulations. For additional directions, please refer to the following Google map links. For more information on times and track updates please visit GoTransit.com. To ensure the safety of patrons and/or event staff, at all gates over race weekend patrons will be asked to open purses, backpacks or other bags upon entry. Prohibited items including all items deemed a risk, and listed below, will not be permitted onto the grounds. Violating these policies may warrant ejection or arrest. · Note that routes found on the Honda Indy Toronto site and online often show the best path with the shortest distance, without regard to construction projects and other obstacles. IMPORTANT TO REGISTER NOW FOR Honda Indy Event! If you don't want to shell out extra cash to get on to the Honda Indy grounds to compete then you need to register NOW! Need those who plan to attend Honda Indy Event to Register right away as we have to confirm the # of entry tickets. Competitors registering late will have to purchase their own ticket to get onto the site!!! Honda Indy Social on Saturday! Competitors will meet at Crocodile Rocks 6pm after the Honda Indy FireFit Competition! Info re Extra Tickets for Honda Indy! Additional info for Extra Tickets is available via Honda Indy Website. Each REGISTERED Competitor Receives an entry pass + one extra pass for Spouse/Child OR Friend. Additional passes need to be purchased via the link below. Competitors who are planning to attend the Toronto Indy Event need to enter as soon as possible! This is so that we can ensure that we can secure the necessary passes that Competitors will be required to wear in order to get into the Indy grounds! Good for a 10% discount on flights from September 4th to September 16th, 2014! AN IMPORTANT NOTE TO ALL COMPETITORS! The Canadian Anti-Spam Legislation comes into effect on Tuesday, July 1, 2014. In order for us to send you Registration Confirmations, Invoices, Event Schedule Changes, Event Updates etc we require you to respond to the email we have sent you OR update your Competitor Profile. This is extremely important as we don't want you to not be informed if there is a change to an Event that we are trying to inform you about. WE REQUIRE YOU TO RESPOND TO THE EMAIL WE HAVE SENT YOU OR LOGIN AND UPDATE YOUR USER PROFILE. If consent is not received before July 1, 2014 you will be removed as a subscriber. Please look for our email and check your JUNK Mail! 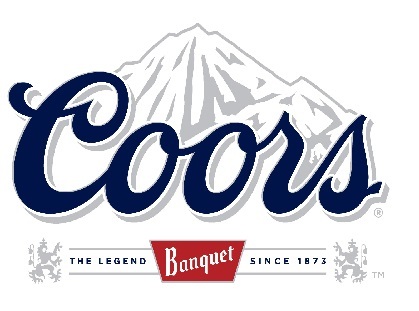 Awards and Beef on a Bun Buffet will be held in the Okotoks Curling Club from 6 to 7:30 on Saturday night. Cost $5/ person. Okotoks Registration Closes - Wednesday at Midnight! Registration for Okotoks CLOSES Wednesday night at midnight! Please get registered! If you have any changes please shoot us an email so we can make the changes PRIOR to Saturday!! Many thanks! Hilary. Winner of Find the Bee Contest! 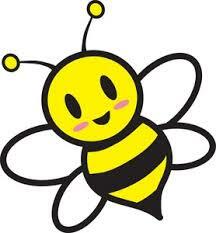 It is our pleasure to announce that Dawn Bowles is the winner of the 'Find the Bee Contest! Dawn entered the contest for her fellow firefighter, Nick Morris, of the St. Andrews & District Fire Department in Nova Scotia. Congratulations!! Dawn found the Bee on the Need to Know page under FireFit-Relay and answered the question correctly (answer: Brampton) AND Nick had updated his Competitor Profile! Team work! Well done! We’re celebrating the launch of our new FireFit.com website and thought we’d share the joy. The contest will last 4 days (from 12pm PDT Monday April 14th until 12pm PDT Friday April 18th) at the end of which the winner will be randomly drawn from everyone who qualified. Visit the new FireFit Championships website (www.firefit.com). Anyone can play; even those who aren’t competitors themselves may compete on behalf of a FireFit competitor. Find Bee FireFit and correctly answer the FireFit skill testing question. Email admin@firefit.com the correct answer, the title or address of the page Bee FireFit was found on, your First and Last name, (the First and Last name of the competitor you’re representing) and your Fire Department to be entered into the draw. You (or the competitor you’re representing) must have updated the Competitor Profile and Health Questionnaire on the new site (launched April 3rd). Update before emailing the answer so you don’t miss out on the chance to qualify. Email admin@firefit.com the correct answer, the title or address of the page Bee FireFit was found on, your First and Last name, (the First and Last name of the competitor you’re representing) and your Fire Department before 12pm PDT Friday April 18th. Draw will take place and Winner will be announced Tuesday April 22nd. Which Team won First Place at the very first Canadian National FireFit Competition? Due to the late date, we have had to withdraw our request for a 2014 BC Event. Grant Hudseth & Fiona Morgenthaler-Code have been working on hosting an Event in the Okanagan but, with less than a month to get organized, we feel that it is in everyone’s best interests to work towards Hosting next year. We will be looking at which of the Alberta Events should be designated as the BC Regional in order to award National Bye's. Stay tuned! Once the competitor has both feet on the ground he/she may pass off the flashlight to the next competitor who is on or moves to the force machine. Please note the force machine can not be used to enable the exchange. Exchanges must be grasp to grasp and in clear view for the official. In discussions with our referee's at Finals last year it was clear that this area can be a difficult one to judge. This is why we are ammending how the exchange needs to happen. FireFit Finals 2014 - New Format! The 2014 Finals will be held in Longueuil, Quebec! Preperations are already underway and it is going to be a GREAT event! We are adding an additional 'Wild Card Day' which will allow Competitors to have more than one individual run (maximum of 2) prior to final Individual Day on Saturday! This will also allow us to do the seeding round for Relay on the Friday so that on Sunday we will go straight into Knockout Rounds. With Montreal scheduled for the weekend prior to Finals in Longueuil this affords Competitors the ability to have a great week of Competition! 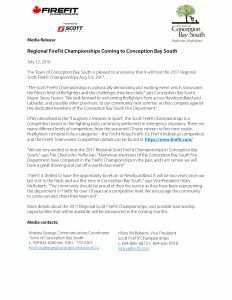 This will also allow American & European Competitors to take advantage of competing in two FireFit Competitions in one trip to Canada! See you on the Course! Welcome to the New FIREFIT WEBSITE! The 2013 Season is going along well with perhaps the oddest weather paterns we have seen in 20 Years! As we made our way across the country from BC to Ontario we dodged rain storms, tornado's and severe thunder storms. It seemed every place we left got hit with something... Fort Mac, Edmonton, Calgary, Medicine Hat, Swift Current, Toronto, Montreal... yikes! Is it us? We hear it is beautiful in BC! The weather aside we have had some great Events with most seeing sunny skies and in some cases extreme heat (Longueuil and Bridgewater of all places!) We have to thank all of our Hosts, Township of Langley, Syncrude, Brooks, Moose Winooski's, Longueuil and Bridgewater for putting together outstanding Events! As you can see from the Results Page we have had some fantastic times run already this year and we think they are going to get BETTER! Just wait till Nationals! Speaking of Nationals we are working on getting the Registration Open within the next week. A spreadsheet will be posted of those who have earned bye's onto Final Day. Also Banquet Tickets need to be pre-ordered through Bob Murray and can be paid for either by cheque or Etransfer. Please contact Bob via email ( robert.murray@edmonton.ca ) prior to September 1st. We are also looking at doing a live streaming of Saturday and Sunday competitions so stay tuned for more details on this! Off we go to Mont Joli, Quebec! See you on the coarse! What a fabulous week of racing and camaraderie in Medicine Hat, Alberta! Teams from across the country participated in one of the smoothest and most enjoyable Nationals that Dale and I can remember in our 18 years! A massive thank you must go out to Steve Seymour and Jason Elder for their attention to detail and tireless enthusiasm! To the Medicine Hat, CFB Suffield Teams we thank you for all of your help as well in set-up and tear down and to the Volunteers who made the Event run smoothly over the 4 days of Competition, thank you, thank you, thank you! The Community support was also outstanding with great crowds chearing our Competitors on to Personal Bests day after day. Lambton College, who always chip in after Competitions, YOU ROCK, we really appreciate your help! We would also like to thank all of our 2011 Regional Hosts from Coquitlam, British Columbia to Stephenville, Newfoundland and everyone in between! And to the many many friends who generously invite us to drop in and stay and offer their amazing hospitality across the country. Special mention goes out to Denis Charbonneau and Ivan Brown who always arrive ready to chip in and are, our 'Chef's on the road'! BBQ anyone? Craig and Sandee Harnum and their tireless energy, our little 'EverReady' bunnies! See you on the road next year! And the wonderful thing about the Fire Service is that where ever we go there are always helping hands! We are so very blessed, thank you. To all of our Competitors! It is a privilage to know you all! Your dedication and determination to make yourselves the best that you can be is inspirational! We salute you! Safe Travels to all and we look forward to seeing you all in 2012! Stay safe, train smart and be Fitter, Faster, Stronger... FireFit! Dale, Hilary, Connor & Cassie!